We know there are many choices when it comes to apartments in Statesboro GA, these are some reasons why you should consider Beacon Place. Apartments Neighbors can be loud and obnoxious, especially when you live on the bottom or middle floor of an apartment complex. At Beacon Place Apartments you will never have this problem because our apartments are all 1 story, and have no breezeways. With no stairs or breezeways, this means you will not have the constant stomping above your head or loud talking in a hallway while trying to sleep or relax. This creates a much more home-like atmosphere for you to enjoy. Since all of our apartments are 1 story, it makes your move simple and easy. If you have that heavy dresser or couch, you can rest assured that it will be a much easier move without having to carry anything heavy up or down any stairs. Our floorplans are open and allow for larger furniture which in many apartments may cause you issues when moving in. Our apartment amenities are all top line. Resort Style Saltwater Pool – Enjoy your summer days in our resort style salt water pool. 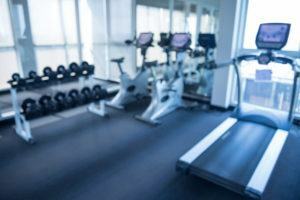 24/7 Fitness Center – Our fitness center is open 24/7 to accommodate to any work schedule. Bamboo Studio – our bamboo studio can be used for Yoga, Pilates, group fitness and much more! Cyber Café – This includes a coffee bar and free WIFI for work and play. -Less than 20 Minutes from Statesboro Bulloch County Airport. Bamboo Studio for Yoga, Pilates, group fitness etc..
No Stairs! Makes moving and unloading groceries easy!! Click on the icons below to download items that you are interested in viewing.